Actions Antiseptic. 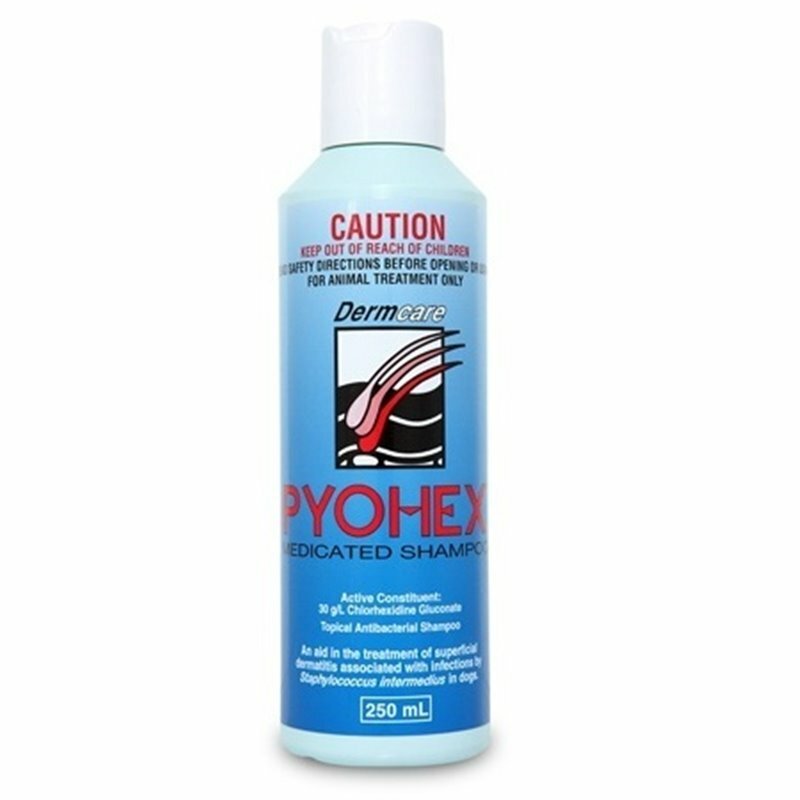 Chlorhexidine has a broad spectrum of antibacterial activity against bacteria. Composition: Chlorhexidine gluconate 30 g/L. Indications: Aid in the topical treatment of superficial dermatitis associated with Staphylococcus intermedius infection in dogs. Antibiotic therapy is recommended for the initial control of infection or when deep pyoderma exists. Safety directions. Will irritate the eyes and skin. Avoid contact with eyes and skin. 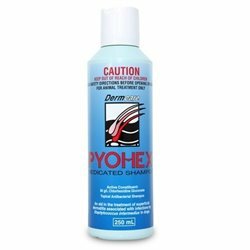 When using the product wear rubber gloves. Wash hands after use. Directions for use: Wet the animal thoroughly with clean water. 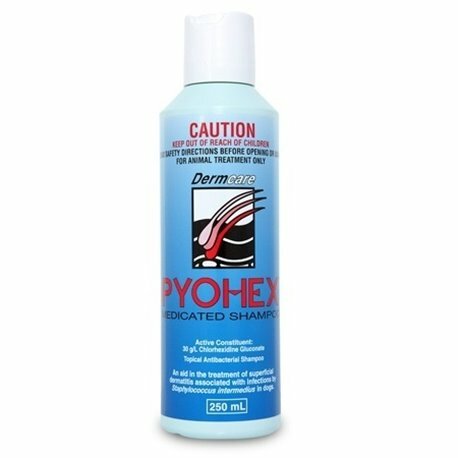 Apply Pyohex to the animal at several points and massage into the coat. A sponge assists lathering and penetration of the coat. Allow to stand for ten minutes, then rinse off with clean water. Repeat twice weekly until symptoms abate, then weekly or as directed by a veterinary surgeon. 10 mL should be enough to treat a 10 kg dog. Shampoo comes in : 250 mL, 500 mL, 1 L.
recommended by the vet. 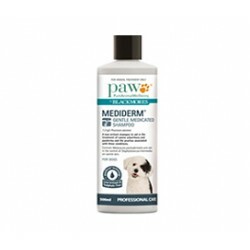 A good supporting treatment for the dog's skin infection. regular use can be done as prevention of the recurrence of the skin issue.